Denver is one of the most plaseant city for vacation . Denver city is very busy this time of the year for weddings and conventions and more for conventions . 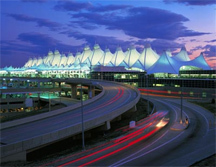 Denver airport Limousine is busy day and night with transportation of weddings with all its vehicles , specially Limos . Hundreds of people are coming to Denver for weddings and tours . Denver airport Limousine is busy today with Jusi Lin’s Wedding in Cherry Creek and Denver Down Town . Hopefully we will continue these services with same enthusiasm .